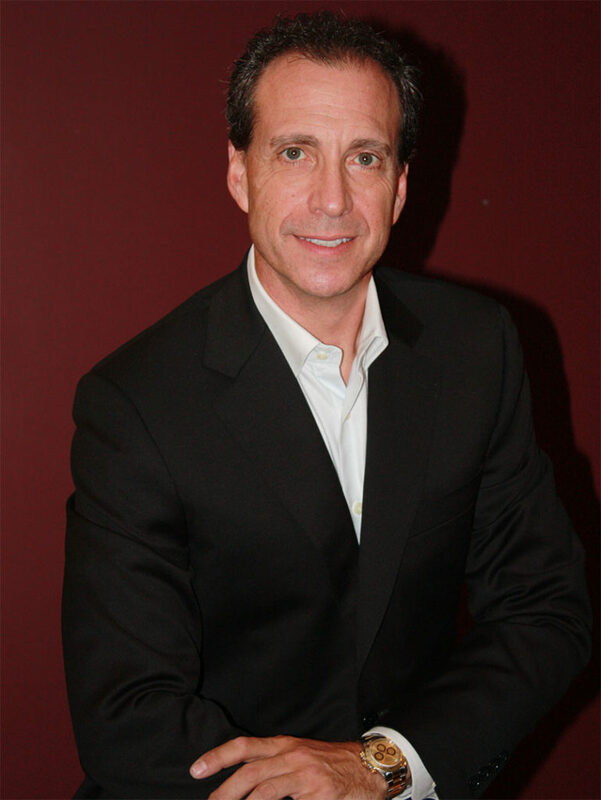 Keith Rosen is a globally recognized authority on sales and leadership and CEO of Profit Builders, named one of the Best Sales Training and Coaching Companies Worldwide. He has delivered his programs to hundreds of thousands of people in practically every industry in over 75 countries. 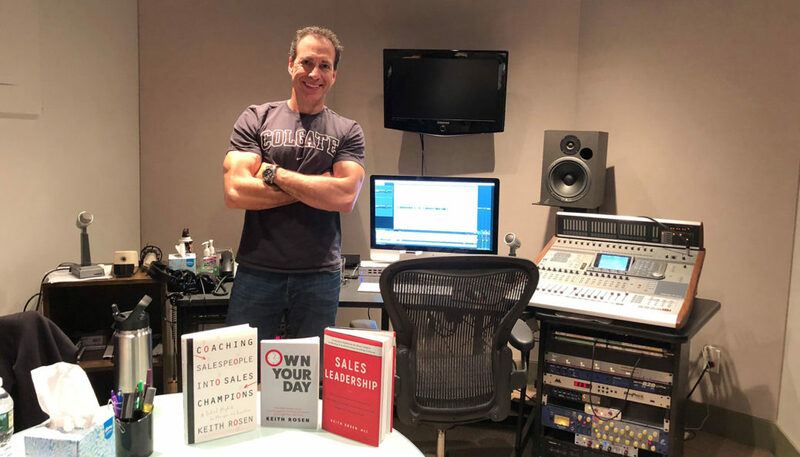 Rosen has written several best-sellers, including Sales Leadership, Own Your Day and the globally acclaimed Coaching Salespeople into Sales Champions, winner of five international best book awards and the #1 best-selling sales management book on Amazon since 2010. Inc. and Fast Company named Rosen one of the five most influential executive coaches. He was also named one of the 50 Best Salespeople of all time, along with Zig Ziglar, Steve Jobs, Dale Carnegie and Jeff Bezos, and appeared in the television show, Mad Men. As a leader in the coaching profession, Keith was inducted in the inaugural group of the Top Sales Hall of Fame. Keith was named The 2009 Sales Education Leader of the Year and was honored as having one of the top 25 Sales and Leadership Blogs for the last 5 years. Let’s jump right in. What’s the current state of management? KEITH ROSEN – It’s gotten worse! According to Gallup, 70% of employees are disengaged, managers don’t know what motivates their people, and only one in ten managers possess the inherent talent to manage. As a result, it’s not surprising that only 53% of salespeople attained their quota in 2017, and it’s expected to be worse in 2018. While essential, sales training doesn’t develop champions. Leaders do. That’s why without ongoing, effective coaching, most training becomes an event based, “flavor of the month” that doesn’t stick. Only 6% of the management population knows what coaching is and how to coach effectively. The rest remain part of the non-stop, problem-solving legion of frustrated Chief Problem Solvers who habitually do other’s work, create dependency and nourish seeds of mediocrity. If you’re a company looking to innovate and grow, managers need to realize that you can’t scale dependency. Instead, every manager needs to be trained and developed into an exemplary, world-class coach. It’s the only way to continually develop champions and attain your business objectives. While this needs to be a priority, it’s pathetic that most companies will spend $10,000 USD or less this year on sales technologies and training, yet expect their people to be masterful leaders and coaches. Here’s an interesting statistic I found. Since 2008, my ebooks were downloaded approximately 350,000 times. In the download form, I ask, “Do you consistently use a coaching framework that creates a healthy, top-performing culture and wins sales?” 91% of respondents said, “No.” So, it’s no shock to hear that Gallup found that 90% of leaders think an engagement strategy will impact business success. However, only 25% have a platform or a strategy to influence their employees. What measurable results can be expected when implementing your customized training and coaching courses? KEITH ROSEN – After many case studies, and measuring the business impact of coaching, some measurable results clients experienced were a zero percent voluntary turnover rate, and an increase in sales and net income by 117%, gross profit by 67%, and average employee pay by 65%. This equates to more sales, greater employee and customer retention and engagement, accelerating your sales cycle, improving forecast and pipeline accuracy and ultimately developing a healthy, trusting, high performance culture. Now managers can regain their time and their life! Changing people’s mindset about work immediately improves economic prosperity and organizational health. Remember, every manager’s real boss is their team. If 80% of team engagement depends on management, the manager IS the culture! Studies by Gallup and Gartner found companies with engaged, happy employees generate 2.5 times more revenue than companies with disengaged employees. The only way to achieve this is through ongoing, effective coaching. My new book, Sales Leadership provides the tactical path and coaching vernacular or “coach tracks” to become an epic sales leader who develops sales champions. If the language of leadership, selling, and across every department is coaching, then the language of your company is coaching. This creates a united coaching culture of collaboration, compassion, accountability, purpose and innovation. I see Sales Leadership has accolades from over 25 thought leaders from the world’s most successful companies, many of which are your clients, such as LinkedIn, Google, Microsoft, Oracle, AstraZeneca, SAP, and Salesforce. What is it like to work with clients who are leaders in their industry? KEITH ROSEN – Anyone, regardless of company, location or culture, if they have a desire to become the best leader they can be, then it is my absolute pleasure and the gift I get to work with these extraordinary, talented people who want to grow and support their employees the best way possible. Implementing my coaching model, talk tracks for critical conversations, and Enrollment strategy to create accountability and buy-in around business objectives will spark immediate, positive change. When coaching is woven into daily conversations, you’ll shift from doing people’s job to developing them. Companies mistakenly collapse great cultures with great results. While results are critical, you have a healthy culture when your work complements your lifestyle, makes a positive impact, and you feel a personal connection with your company vision and co-workers, while enjoying the process. What people create, they own. What they don’t, they resist. Your company ecosystem is a manifestation of people’s values. Instead of having your culture define people, have your people define your culture – and your vision. You have won five International Best Book Awards and have the number one best-selling sales management coaching book on Amazon.com since 2010. Can you tell us about your books? 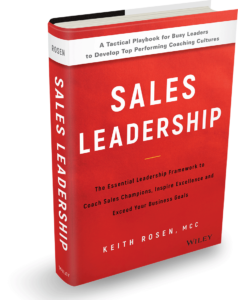 KEITH ROSEN – It’s the 10-year anniversary of Coaching Salespeople Into Sales Champions (CSSC). Since writing CSSC, I’ve worked with tens of thousands of sales leaders on five continents; in over 75 countries. They’ve inspired me to improve my coaching methodology, while ensuring it’s relevant for leaders worldwide. Sales Leadership is the result of my 10-year global quest to ignite unprecedented human achievement, develop leadership titans and transform the workplace into a nourishing place of learning, innovation and personal evolution. I was surprised this is the first book entitled, Sales Leadership! Most management books don’t apply to sales leadership, and focus more on results and business objectives (scorecards, key performance indicators, quota), where Sales Leadership focuses on the why, the how – coaching, and the who – putting people first before the results. All are essential. However, salespeople are unique, indispensable and need to be coached in alignment with their role and individuality. When you unite business and personal goals, engagement is inevitable. In fact, McLean & Company found that employees who feel empowered to make decisions about how they do their work are 4.3x more engaged. This can only happy through exemplary coaching. CSSC was the first book that poured the foundation for coaching mastery. Sales Leadership continues the journey to become an elite sales leader and trailblazing coach who develops a top performing culture and sales champions. You have been named one of the five most influential executive coaches by Inc. Magazine and Fast Company. In your opinion, what makes a great executive coach? KEITH ROSEN – For me, the answer is simple. The greatest coaches are the ones who model what’s possible for others to achieve. After all, you can’t take someone where you haven’t been yourself compared to the coaches who have. So, if you’re coaching someone on leadership, coaching, time management, selling, career advancement, finances, health, relationships, then you best be modeling what’s possible for others. This is why most coaching is ineffective and why managers will never get to the point they want to in their career and with their team, until they start working more on themselves and their coaching acumen. You started Profit Builders in 1989. What is the secret to your success and longevity? KEITH ROSEN – Passion, love, an unwavering commitment to people’s success, drive, purpose, insatiable curiosity, care, selflessness, seek to serve, innovation, creating the curve and continued evolution of the coaching profession, over delivering on value, putting people first, mastering your day, aligning your core values and priorities with your career and being a lifelong learner. Most important, honoring your core values and priorities by designing my career around my life, not my life around my career. Keith, you were inducted into the Top Sales Hall of Fame in recognition for your tremendous work. How do accolades like that make you feel as a coach and mentor? KEITH ROSEN – While I’m honored and humbled when receiving these accolades, they pale in importance compared to the emails I receive from people who have read my books, read my blog, attend my courses or watch my videos and share with me how my work has changed their lives for the better. That is my greatest compensation, inspiration and reward. KEITH ROSEN – Before getting out of bed, I take five minutes of gratitude and appreciation for what I have in my life. The things we often take for granted. A loving spouse, a home to live, food to eat, eyes to see, legs to walk, a healthy family, a job that is a reflection of my values and who I am. Then, as the morning coffee brews, I take ten minutes to do silent meditation before starting my day. Before the work day officially starts, I either go to the gym, do hot yoga or kickbox to maintain my health regimen. Then I begin my workday. KEITH ROSEN – Many may know I’m a music and concert fanatic. I play guitar and have performed publicly. I have a passion for extreme health and self-care, travel, connection, adventure, learning about all religions, language, art, history and both organizational and geographic cultures. KEITH ROSEN – That’s easy. The three core values and priorities in my life. My three children, my wife and making an impact. People, travel, learning about different cultures and religions as a way to authentically and respectfully foster deeper connections with people all over the world. KEITH ROSEN – I’ll answer this in a different way. The mentor I admire most is Zig Ziglar. It was a privilege and honor to spend a day with Zig Ziglar, one on one at his corporate office in Dallas. We did this series of video interviews back in 2009, which you can find on my blog. For me, I’m grateful to have had those precious moments with Zig. His message goes beyond what it means to be a sales champion but a champion of humanity, integrity and family. I am eternally grateful to have known Zig Ziglar. He was and will continue to be a model of inspiration for millions of people and evidence that personal success comes from helping others succeed. I look forward to sharing his wisdom with my children and the generations to come, as there will never be another Zig Ziglar. KEITH ROSEN – Solving world peace and eradicating world hunger through music and through people. Wherever I go, in every country, regardless of political or religious beliefs, everyone wants the same thing. Peace, health, love, family, purpose, happiness and honoring a higher power. If this is the case, and we can respect our one human race, and abolish hate crimes by our global community coming together, then world peace can be possible. And music is the global equilibrium. KEITH ROSEN – Of course it takes too long, when you’re not coaching effectively, both in skill set and mindset and are constantly, and impatiently pushing your own agenda! What if you can successfully coach anyone in 5, 15, 10 or even 60 seconds using one question? Sales Leadership makes coaching easy. For busy, caring managers, this removes the pressure and misconception that, “Coaching is difficult, doesn’t work, and I don’t have time to coach.” Besides, great leaders don’t always do different things. They just do things differently. My L.E.A.D.S. Coaching Framework enables busy, caring managers to coach efficiently and effectively. Is there anything else you care to share? KEITH ROSEN – In thriving cultures, everyone’s a coach and coachee. So, you don’t have to be a great at coaching to start, but you must start to become a great coach. Coaching is simply a habit that begins with upgrading your mental operating system to make coaching your number one priority. Being a great leader takes much more than leveraging a coaching framework and developing your coaching acumen. It’s the inner game of leadership, the mindset and way of being that needs to change first. It’s realizing that your team doesn’t work for you. You work for them. The byproduct of evolving your thinking is a positive behavioral change that creates the exceptional results you never thought possible. Here’s your opportunity to change this question and instead, ask yourself, “What can I do to make my people more valuable than they were yesterday?” This is the fundamental shift managers need to make to demonstrate that coaching, and your people, are your number one priority. The byproduct is, you achieve business objectives. So, where do you begin to transform a culture? One person at a time. One conversation at a time. Remember the ABCs of leadership. Always Be Coaching! Thanks, Keith! Where can people get the book? KEITH ROSEN – Visit KeithRosen.com to get preferred pricing and free bonus materials or they can buy the book here at Amazon! For more information on Keith Rosen, please visit Coachquest.com and KeithRosen.com.